It All Started With the Farm….. So wrote my great-grandfather I.B. 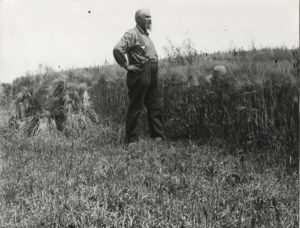 Harris about the barley and wheat fields of our farm on the Palouse in the state of Washington where he homesteaded. I was raised on this farm and in the house he built. That rich, black soil was between my toes as I ran through the fields during the spring when the land sprouted green and then during the hot Palouse summers when the fields transformed to butter-yellow heads of grain. As I grew up, I would help with the harvest and then ride in the grain trucks to the elevators to dispense the freshly harvested barley. That barley would later be sold to the breweries to become that magical elixir we enjoy. I’m connected to the land and growing the grain that is used in the brewing industry. I know farming and crop quality. I value the intimate connection from farm to table…and in this case dog treats! Farming is in my blood, and it’s with great pride that I maintain that direct connection with my dog treats, Bootleg Biscuits. Even the breweries of California source their grain from my home state of Washington! 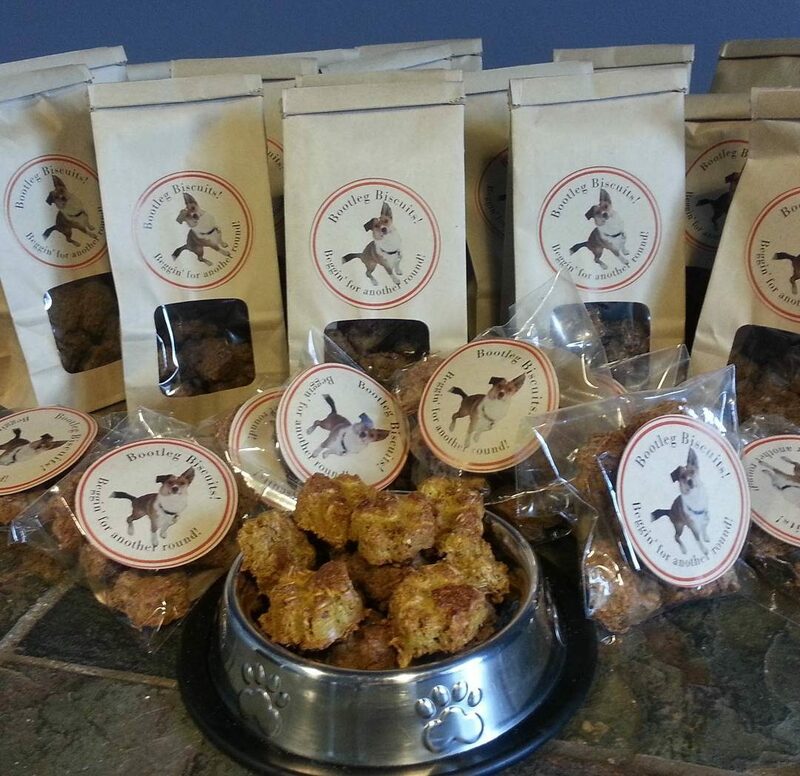 Every little bite of Bootleg Biscuits is a little piece of supporting a farm….farm to brewery, and then the spent grain is provided to me to create these healthy and tasty treats that dogs across the U.S.A. love! Yes, Bootleg Biscuits are made with the finest ingredients only grown in the U.S.A. No chemicals or artificial ingredients are found in our little rewards. We hope you will enjoy giving these treats as a reward to your canine family and friends. We know they will be “beggin’ for another round”!! Copyright © 2013-2019 Bootleg Biscuits. All rights reserved for all content and media.